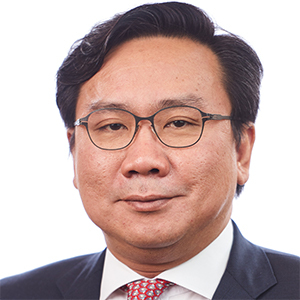 Stanley Ho (Hong Kong) joined KKR in 2010, and is a member of the Client and Partner Group. In addition, he serves on the Board and is a Responsible Officer of KKR Capital Markets Asia Ltd. Since joining KKR, Mr. Ho has also been involved in a number of equity capital markets transactions of KKR’s portfolio companies, including the China Modern Dairy IPO, and the Far East Horizon IPO. Mr. Ho joined KKR from the Royal Bank of Scotland, where he was a managing director and the head of equity capital markets for Asia ex-Japan. He has extensive experience in the origination and syndication of equity capital markets transactions across Asia Pacific ex-Japan. Prior to RBS, he spent 7 years at UBS Investment Bank. Mr. Ho graduated from The London School of Economics with a B.S. (Hons) in Business Mathematics and Statistics.